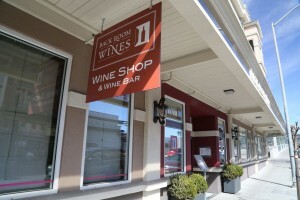 Backroom Wines (founded 2002) is located in downtown Napa almost directly across from the Bounty Hunter wine bar. Don’t make the mistake and try to enter the 1000 Main Street building from Main Street – their entrance is actually on First Street. If there is no convenient street side parking – the parking lot off of nearby Pearl Street is a very short walk across a bridge over Napa Creek and through the Napa Opera House Plaza. Any shop that has Johnny Cash’s Folsom Prison album playing (as it was one morning) when we walked in already has been raised up a notch in our eyes! 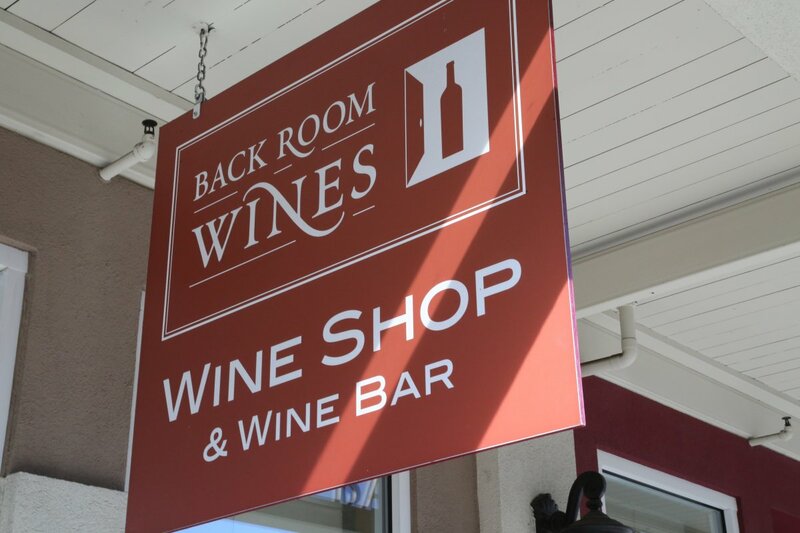 Backroom Wines is a boutique wine shop with an excellent selection of wines focusing on primarily small producers with an emphasis on Napa based producers but also carry a fine selection of wines from outside of Napa. 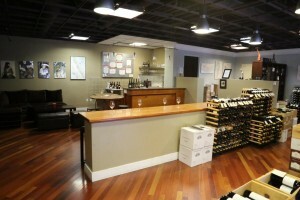 The wines are laid out very nicely – the shop is clean and well organized. Founder Dan Dawson first caught a whiff of the wine industry when he started working at a restaurant in Eureka California. That was followed by additional restaurant experience in Las Vegas, Nevada. He moved to Napa in the early 1990’s and caught the “Napa Allure”. Dan has enjoyed wine for many years along with a love of writing and communicating about wine with people. 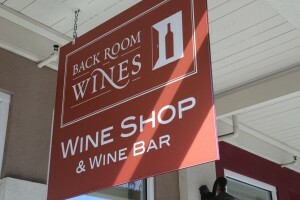 Today Backroom Wines is one of the oldest wine shops in downtown Napa. In April 2016 Dan sold the wine shop and inventory to husband and wife Prashant and Felicia Patel. Prashart has lived in the Napa Valley since the age of 2 and runs Invictus Marketing, a successful eCommerce and web design business with national accounts across a diversity of industries, but he also counts some local wineries as his clients. Conveniently Felicia helped run two family-owned wine and spirits shop in Nashville, Tennessee (where she is from). She moved to Napa in 2013 and worked at govino (unbreakable stemware) for several years as a customer service manager. Today she is the face of Backroom Wines – overseeing the operations on site bringing an enthusiasm and attentiveness to visitors to the store. Several long time employees also stayed on for the transition. In addition to the Napa and California wine selection, the store offers a variety of European wines with an additional focus on French wines – both whites and reds. Historically a number of small Napa based producers initially sold their wines here before they were “well known”. For example Napa area wineries such as Paloma, Switchback Ridge and T-Vine Cellars initially sold their first releases at Backroom Wines. These wineries are now well established and have won a number of high end awards and ratings. Felicia continues to have a good selection of “new” producers. Like dessert wines? They have a number of European wine “sweets”. 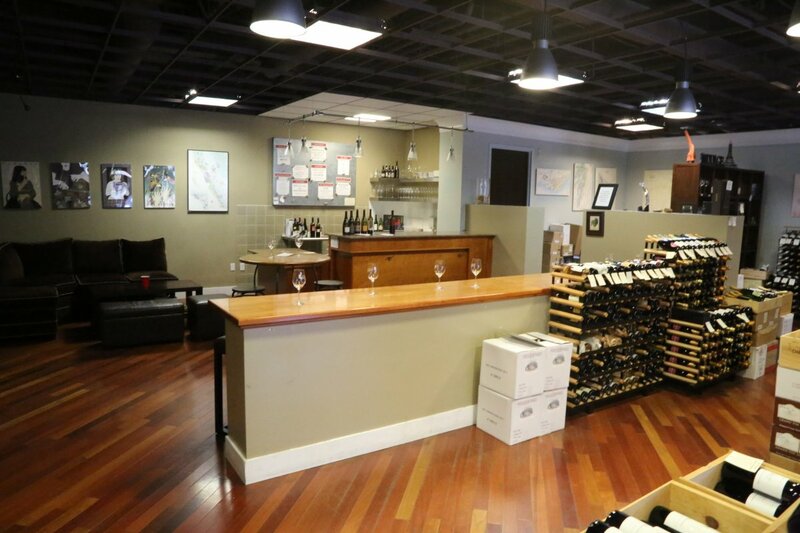 The original Backroom Wines location was on Franklin Street (now a joint tasting room featuring two small producers). The store moved their operations to their current location in mid 2008. It is much larger than their old shop and arguably a bit more central. They are open 7 days a week; the wine bar is also open daily with extended hours on Friday, Saturday and Sunday (no appointment needed). The “special” tastings are what separates this wine shop from some of the other local wine shops. Their “off the grid” tastings focus on small producers you typically won’t see outside of the Napa Valley. Looking for an International perspective? Often Backroom chooses to highlight a specific International wine making region and focus on those wines. In addition, they may have specific tastings in which small local area winemakers are on hand to taste their own wines; this is a great chance to actually meet someone in the Napa wine-making industry. Also popular is the “bring an interesting and good wine” night where you bring one or more of your favorite wines; this is a great chance to try an eclectic variety of wine. Aromatic and “guess the varietal” tastings also sometimes offered. 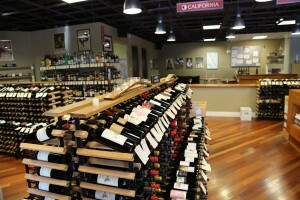 An varied collection of cheeses are also sold on site – ask which wine pairs with what cheese. Sometimes their “house wine” is offered for tasting at the bar. Often times winemakers will have additional barrels of premium wine that for whatever reason doesn’t fit into their wine making program. Backroom Wines’ Corsair is such a wine. It is a Napa Valley Cabernet Sauvignon that Dan sourced from one of his friends who makes a semi cult wine up valley. Corsair is produced in extremely small quantities (the 2008 was 150 cases) and was only available at the store. As Dan originally told us, “as it turns out, college mascots make good names for wine labels”. Corsair refers to a French Pirate, a WWII fighter plane, a computer memory company…and eventually a Napa Cabernet. All events are scheduled well ahead of time so check their website for details. Speaking of their website, it is often updated and is a treasure trove of information including their newsletter, featured wine section and the wine diary. Be sure to signup for their mailing list as almost weekly you will find an email with a plethora of wine information; it is a great resource for the latest Napa wines to hit the market. This is the email list we subscribe to in order to discover latest releases and the newest commercial wine producers in the valley and beyond. Sept 25th. Can you send it out at that time and charge my card also at that same time?